Festival Description | IN.S.A.N.E. animation film festival 9-10-11 september 2016! – An INternational Animated film festival in Malmö, Sweden, to celebrate Swedish animation 100 years with an animation fair. – An INternational Animaton film festival that will take a stand for Noted events in Society, with an Echo. The film festival is free and it is not a contest. Read more what it is about. The festival will take place in Sweden’s third largest city, Malmö, during the weekend of september 11-13 with a opening evening friday september 11. IN.S.A.N.E animation film festival will screen animation features, shorts and stop-motion films, game design, everything that isn´t feature film, for the public. Industry conferences, panels, workshops on the state of the art(s) and educational platforms for children will also be held. IN.S.A.N.E. animation film festival is a private initiative to make a platform for animation artists to show their work, meet like-minded people, grow the interest for animation and stop-motion films and to show different ways to see life in society, globally. This is the first time ever for the festival to take place and we look forward to having your animation or stop-motion film and you as a visitor and special guest at the festival. *Deadline to submit your film is july 31, 2015. *You sign up and upload your film here at FreeFilmWay and Festhome You will be directed to the film festival’s FreeFilmway and Festhome page when clicking on the sign up button. 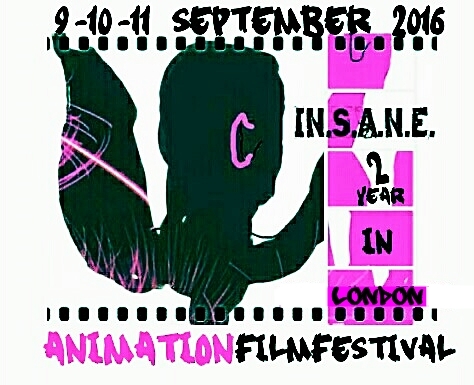 *New: Make Insane animation film festival´s trailer and sign up and upload your trailer at FilmFreeway. To colour the festival with. You will be directed to the film festival’s FreeFilmway page when clicking on the sign up button. You will be notified if your film and/or trailer are selected by august 10, 2015. 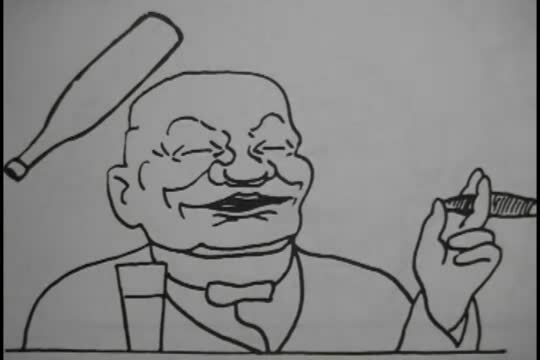 We look forward to having your animation or stop-motion film, 1 minute up to 100 minutes, from all over the world, that relates to our theme, noted events in society. We will select the films that will take part in the festival, based on how the film deals with the subject and that it fits into the program schedule. Apart from that we have no rules. By entering your film for consideration for the 2015 IN.S.A.N.E animation film festival, you authorize that your work is cleared for festival exhibition and accept full legal responsibility for the intellectual property therein. Entry into the festival constitutes permission to exhibit your work at the 2015 IN.S.A.N.E animation film festival. IN.S.A.N.E. animation film festival is also hereby granted the right to utilize an excerpt from any film submitted and accepted for exhibition at the Festival for promotional purposes. Can I submit to IN.S.A.N.E. animation filmfestival via paper/email/ air mail? We cannot accept submissions that do not go through our online submission format FilmFreeway and Festhome. It is difficult to keep track of films when there’s no electronic record of a submission. How will we be notified? Accepted films will receive an invitation letter by email. Films not accepted will also be notified by email by the notification deadline. Your status of not accepted and accepted will also be reflected in FilmFreeway. If you do not receive an email within 7 days after the notification date, please contact us. Before contacting us, reconfirm who is listed as the primary contact and their email. We also suggest a permanent contact be used as the primary submitter and that a phone number and email address always associated with the production be used. Note: Email filters have a hard time with addresses that start with info@, mail@, admin@, etc. If you’re using an info@myfilm.com email address it’s more likely your notification email may not arrive. We also suggest using an email address that someone checks at least daily. What format should the accepted film have for screening at PANORA? We look forward to seeing your film and will continue giving you updated information about the film festival program which shall be complete by september 3, 2015. Practical information about Malmö, the venue, accomodation and directions will be supplied upon acceptance of your film.